Huawei announced yesterday evening that its TalkBand fitness tracker would go on sale here in the US on November 14, priced at $129.99. The device comes in a variety of colors, but does not offer a ton of killer features, limited to being solely a basic tracker of sorts. Users can track their runs and workout activities, as well as sleep cycles. As for notifications, the TalkBand can display calls and non-invasive notifications on its 1.4″ OLED display. 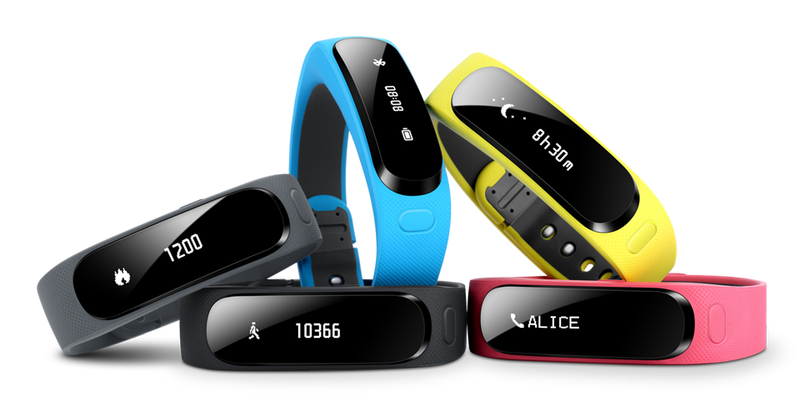 Using Bluetooth 4.1, the TalkBand connects to a plethora of devices, including many Android phones, plus iPhones. Coming in Blue, Yellow, Pink, Black, and Grey, the TalkBand hits our shores on November 14 for $129.99. PLANO, Texas, Nov. 6, 2014 /PRNewswire/ — Huawei’s TalkBand B1, the world’s 1st fitness tracker with an integrated Bluetooth earpiece and the perfect hybrid talk and track companion for mobile devices, will be available beginning November 14 in the United States through GetHuawei.com, Newegg.com, Amazon.com, and Fry’s Electronics. The TalkBand will be available in the United States starting November 14 in the true black color, with more colors available within the year, at a suggested retail price of $129.99 USD. Meet the multi-tasking, fitness-tracking, call-taking, music-streaming wearable you’ve been waiting for. Live life, balanced. To learn more about the TalkBand B1, visit http://talkband.gethuawei.com.